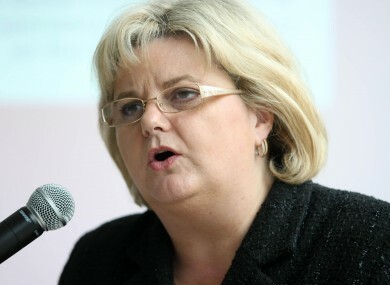 Angela Kerins quit today, stating that the latest controversies had taken their toll on her family and the Rehab Group. DEPUTY MARY LOU McDonald has rejected any assertions that the Public Accounts Committee forced Angela Kerins out of her top position at Rehab Group. “I don’t accept…that we have forced a decent woman out of her job. I absolutely reject that,” she told Seán O’Rourke on RTÉ Radio One. The presenter had put it to the Sinn Féin TD that the Public Accounts Committee had engaged in “cheapskate publicity” by highlighting what pay certain people earn. “Certainly, the committee has done its job in terms of asking questions…about taxpayers’ money,” she said. We asked the question that was on everyone’s lips in respect of [Kerins'] own salary package and the salary packages of top executives. McDonald accepted that senior roles can be challenging and stressful but claimed that “in the case of Rehab and Kerins, “the stress was largely of their own making because they took a position that they wished to stonewall an Oireachtas committee and the public”. She confirmed that Frank Flannery will appear before the PAC next Thursday, 10 April following an invitation from its members. McDonald, who was praised for her relentless questioning of Rehab executives during PAC hearing last month, said there are still “outstanding issues of legitimate public concern that have to be answered”. The committee expects continued cooperation from both Flannery and Kerins, despite their resignations. The Dublin deputy noted that Kerins will be expected to “cooperate more fully than she has in the past”. McDonald also moved to defend the PAC’s work, stating it worked “in the public interest without fear or favour”. Kerins confirmed her retirement after 22 years with Rehab this morning. She cited the recent public controversy, explaining it had taken its toll on the group and her own family. She said by stepping down, she hopes Rehab can “focus its entire energies on its core activity of developing and delivering services to people with disabilities and others who are disadvantaged”. Kerins has been under increasing pressure since the disclosure that she earns €240,000 annually, as well as revelations that Rehab made just €9,000 profit from €4 million worth of scratch card sales in 2010. Email “Mary Lou McDonald says Angela Kerins' stress was of her own making”. Feedback on “Mary Lou McDonald says Angela Kerins' stress was of her own making”.